Poseidon's Children is the first book in the The Legacy of the Gods series by Michael West. 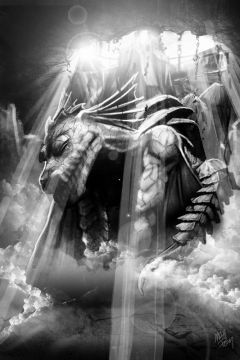 Man no longer worships the old gods; forgotten and forsaken, they have become nothing more than myth and legend. But all that is about to change. After the ruins of a vast, ancient civilization are discovered on the ocean floor, Coast Guard officers find a series of derelict ships drifting in the current--high-priced yachts and leaking fishing boats, all ransacked, splattered in blood, their crews missing and presumed dead. 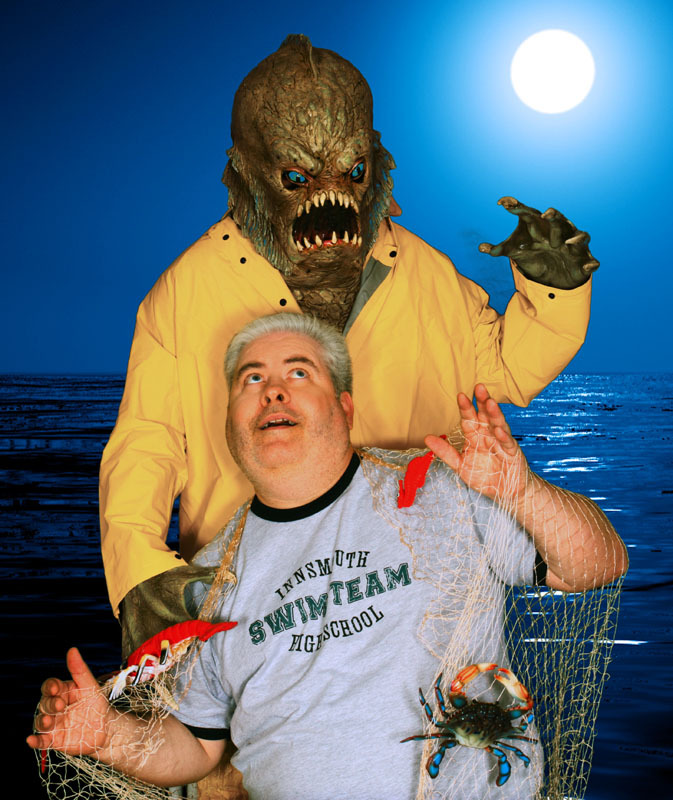 Vacationing artist Larry Neuhaus has just witnessed a gruesome shark attack, a young couple torn apart right before his eyes ... at least, he thinks it was a shark. And when one of these victims turns out to be the only son of Roger Hays, the most powerful man in the country, things go from bad to worse. Now, to stop the carnage,Larry and his new-found friends must work together to unravel a mystery as old as time, and face an enemy as dark as the ocean depths. How would you classify the 1998 movie The Faculty? 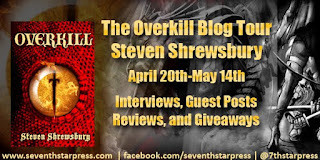 I would classify it as horror, yet I've seen it on urban fantasy lists. I find the same blurring of lines with Michael West's Poseidon's Children. 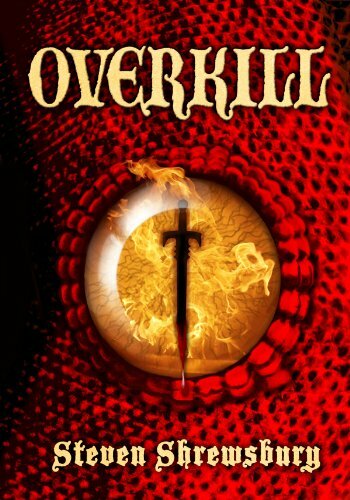 It is classified as an urban fantasy novel, but it is very much a horror story. 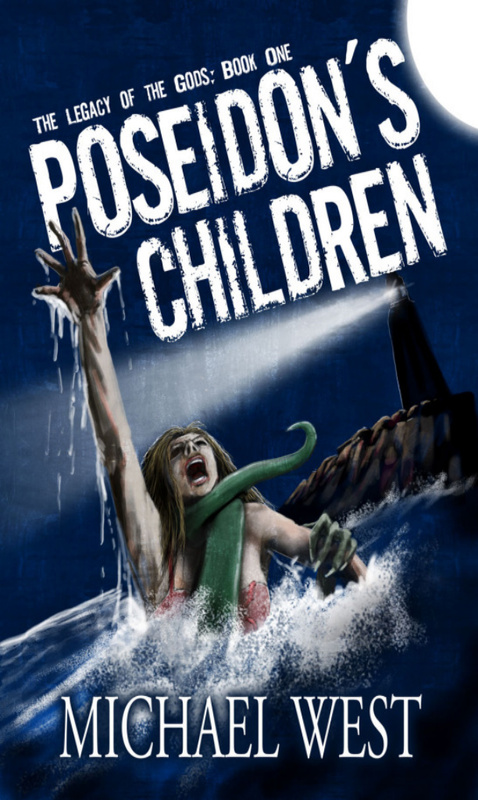 Poseidon's Children starts out a lot like Jaws except the sharks in Poseidon's Children have hands. These sea monsters are descendents of Poseidon, and they have taken up residence in Colonial Bay. "What kind of mythological creature would you like to be?" is a common question among paranormal book discussion forums and the book blog hops. I've never had an answer to that question until now. I want to be one of Poseidon's children. It would be awesome to be able to transform between a sea creature and a human. If I had a set of gills, my life would be complete. There are a lot of characters in Poseidon's Children. It seemed like every chapter in the first half introduced someone new. I worried about being able to keep them all straight, but even with West switching between first and last names, I was able to keep track of such a large cast. I'm looking forward to further development of some of the characters in the next book. Poseidon's Children is a great start to the The Legacy of the Gods series. The ending provides a lot of setup for the next installment, but we are given a complete story prior to the sizable epilogue. I greatly appreciate when a series book can be read as a stand alone. If you enjoyed the 1998 movie The Faculty (I did), you should check out this series. I've been trying to ease into the urban fantasy genre and being that Poseidon's Children was dark and scary for an urban fantasy, it was a great selection for me. 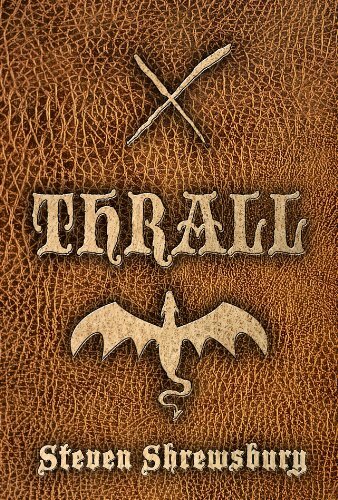 I'm looking forward to seeing where the series goes in the next book. I hope to vicariously spend some time out at sea as a sea monster. I'm very excited to welcome Michael West back to Book Den today. I'm also excited to point out his latest novel Poseidon's Children is free for Kindle through today. Be sure to go grab a copy! It’s far too easy to kill people. Well, at least for some writers. They create disposable characters that are designed to be slashed or clawed or eaten. They give them the slimmest of characterizations, make them stereotypes, and before you know it...BAM! The axe falls and the annoying one, or the jock, or the virgin, or what-have-you is worm food. They give us victims rather than people. But where’s the suspense in that? When slasher films first came into existence, they were gory who-done-its. You had a cast of characters who were being murdered, and you had to guess who was doing it and why. But you knew who the people were. You got a chance to see them interact, to see their friendships, to know their wants or dislikes, all their quirks and their habits...you got actual characters. Don’t believe me? Go back and watch the original Halloween, or Friday the 13th, or My Bloody Valentine, or Happy Birthday to Me. Even if a character was going to die in the very next scene, you got to know something about them. You got to care. Fast forward a few years, after a few sequels and a few remakes, and you find that character stopped being important. So did any sense of mystery. Now, the killers were the stars, and it wasn’t so much who-done-it, but how’s-he-gonna-do-it? This led to the construction of more and more elaborate death scenes. And when all conventional weaponry had been exhausted, we got the Saw movies and the Final Destination films, where intricate traps and step-by-step coincidences conspired to rip total strangers limb from limb. But where is the emotional investment? 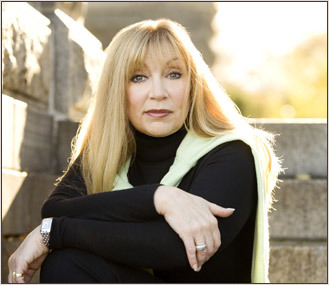 I remember reading William Peter Blatty’s The Exorcist; Stephen King’s The Stand, Christine, and Pet Sematary; Michael Crichton’s Jurassic Park, and I would get so wrapped up in the characters and their plights, so afraid for them, that I couldn’t put the books down, I couldn’t even sleep, until I knew what happened to them, until I knew they were safe. All too often now, however, Horror novels have mirrored the films, and it is hard to find characters you would shed tears over if they met their doom. Sometimes, it’s hard to even find characters you like. But that’s just not scary. For me, there is no fear without emotional attachment. You can shock people all you want, but if they aren’t invested in the people their reading about on the page, or watching on the screen, they’re not going to experience true terror. That’s what I strive for in my work: terror. Oh, I’m not above the jump scare, mind you, and I can do gore with the best of them, but I just don’t think a story is memorable unless it has good, believable, relatable, characters; people you’d like to hang out with, people you’d like to date, maybe even people who remind you a bit of yourself. It’s not so easy to see those people die, is it? Put those people in jeopardy, and you actually care. And when you care, suddenly you don’t feel safe alone in your room. You don’t feel safe closing your eyes. You don’t feel safe at all! You are, in a word, terrified. And that, after all, is the whole point of a Horror story, isn’t it? Sadly, those kinds of books, with those kinds of believable characters, and threats that are equally real, are few and far between. But they are out there, and when you do find them...oh, baby...you get very real goosebumps. To find out more about Michael West, author of The Wide Game, Cinema of Shadows, and Poseidon's Children, visit his website at www.bymichaelwest.com. 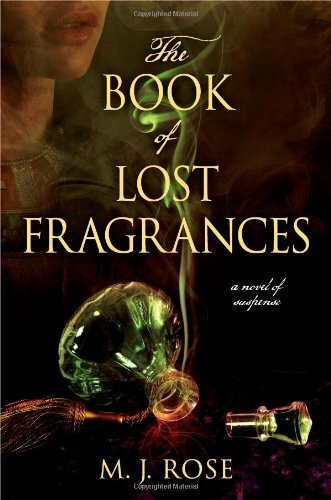 I'm excited to welcome M.J. Rose back to Book Den today as part of her The Book of Lost Fragrances Virtual Book Tour. Guerlain created this soliflore in the 1840s... over 170 years ago! It was reprised again in the 1920's but was no longer produced beyond WWII. Anything but a 'typical' Lavender scent, Lavande has a complex backbone of shimmering citruses, lavender, tumbling florals, vetiver and darker, mossy accords. 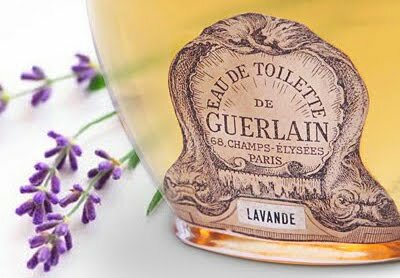 It is distinctly Guerlain in it's approach as more of an 'abstract' of Lavander than a literal interpretation. Its deeply aromatic heart and exceptionally mossy base are unparalleled in modern perfumery, making it a regrettable loss to the annals of perfume history. 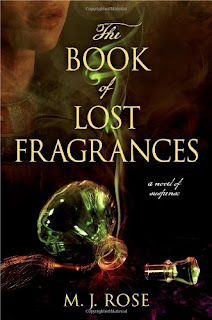 For more guest posts and reviews, check out the full The Book of Lost Fragrances tour here.